Whatever brought you to our website, we can bet that it has something to do with a search to find the best masonry or concrete contractor in or around Carmichael, CA. Whether you are planning a residential or commercial project and are located in Fair Oaks, Orangevale, Arden, Rancho Cordova, Folsom, Citrus Heights, Sacramento, or anywhere within an hour of those cities, Carmichael Concrete is often considered one of the leading contractors. ​Call or text! (916) 553-2299. Or fill out our quote form on this page! 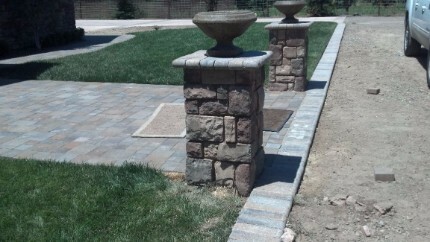 Over the last 13 years, my crew has handled thousands of concrete, stone, and brick projects. As a professional with over 20 years in the industry, home owners, property managers, landscapers, and commercial builders can all rest easy when working with my crew. Having thrived in residential concrete work through purely referrals, we are striving to satisfy all customers throughout Sacramento County. We can even provide references of our work! 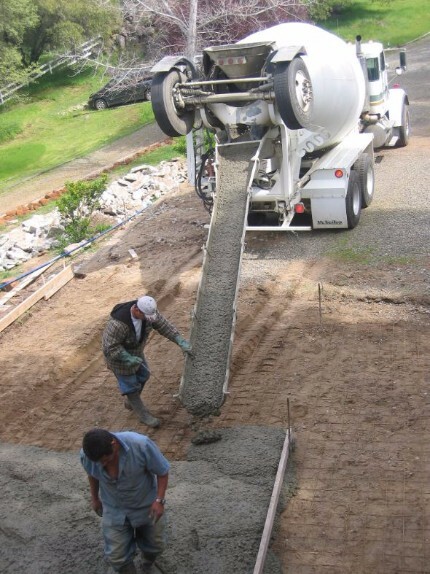 If you want someone to take on any job, big or small, contact the best concrete contractors in the greater Sacramento area. Take out your smartphone (or stay on it) and call or text us now! An insight into some of our finished projects to help make your decision on for how you want your installation to look just that much easier. Call us at (916) 553-2299 today! What kind of project are you looking to start? 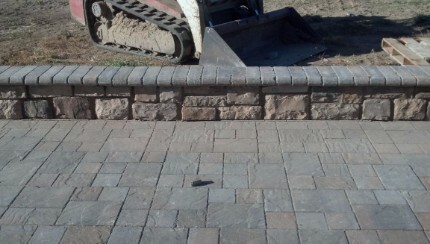 We offer a variety of services for custom concrete and masonry work. The most common being concrete stains, stamped concrete, repairs, resurfacing, remodeling, repainting, pool decks, patios, driveways, sidewalks, retaining walls, brick walls, fireplaces, barbecues, stone pavers, pavement. 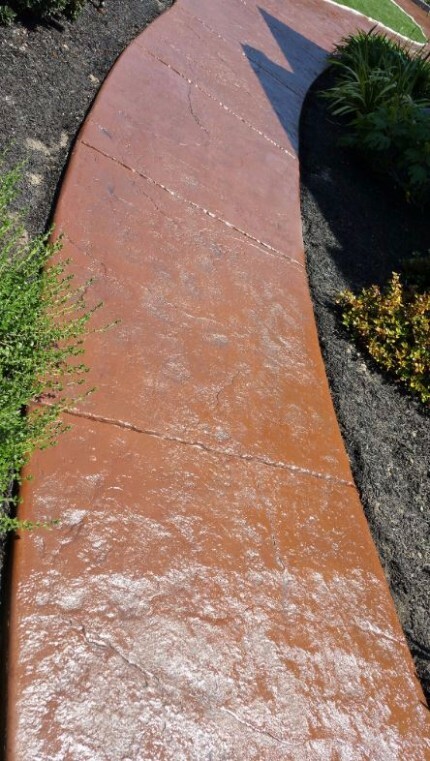 Take a look at some of our samples of stone, concrete, and brick work below of concrete countertops, driveways, pool decks, patios, stairs, pillars, barbecues, and fireplaces. For concrete: driveways, pool decks, Kool Deck, patios, roads, sidewalks, stairs, steps tennis courts, basketball courts, slabs, pillars, fireplaces, barbecues, kits, floor decks, non slip flooring, epoxy, tuckpointing, veneer, expansion joints, drain covers, drain channels, retaining walls, accessories, foundations, concrete topping, new builds, landscaping, stamping, paving, finishing, remodeling, resurfacing, repairing, removing, polishing, pouring, etching, touch-ups, bonding, coating, cutting, grinding, sealing, coating, waterproofing, curbing, overlays, stains, molds, and installations. Click to call us to get a cost estimate for any of the above. For stone: patios, pool decks, barbecues, fireplaces, driveways, retaining walls, kitchenettes, pillars, repairs, pavers, landscaping, flooring, and more. 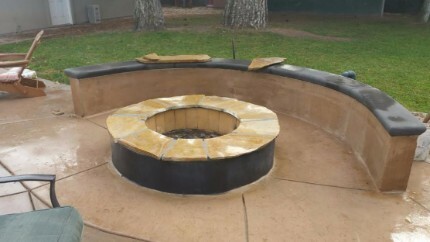 For brick: fireplaces, barbecues, chimneys, walls, retaining walls, driveways, patios, brick laying, mortar, repairs, grinding, painting, coloring, bonding, and more. In all honesty, we serve just about every city in the Northern California area. Depending on the type of service, we frequent some cities more than others. Here are some of the cities that Carmichael Concrete serves in the greater Sacramento area: Fair Oaks, Rancho Cordova, Folsom, El Dorado Hills, Roseville, Orangevale, Auburn, Citrus Heights, Lincoln, Rocklin, Granite Bay, Natomas, Elk Grove, West Sacramento, Galt, Newcastle, Placerville, Nicolaus, Rio Linda, Rio Vista, Rosemont, Rancho Murieta, Ione, North Highlands, Alder Creek, Gold River, Arden-Arcade, Antelope, Cameron Park, White Rock, Shingle Springs, Latrobe, Arroyo Vista, Franciscan Village, Zen Estates, Penryn, Diamond Springs, Kingsville, Shingle Springs, Davis, Disxon, Clarksburg, Laguna, Franklin, Sheldon, and all the other cities and suburbs in between! 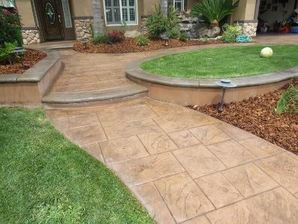 What Type of Stamped Concrete, Brick, Or Stone Patterns are Available? In the realm of masonry work, there are a ton of decorative patterns and designs available. Thanks to stamped concrete, there are even more designs that are created every single year. Some of the more commonly requested decorative brick, stone, and concrete designs: Natural concrete, colored concrete, acrylic tile, Marbella stone, textured slate, flagstone, salt finish, broom finish, cool deck, Cantera stone, small slate, ashlar slate, Belgium slate, boardwalk, sidewalk slate, Futura, Ozark, herringbone, Regar, Verona stone, roman slate, basket weave, euro fan, wood plan, random stone, Appian stone, octagon, Caesar stone, Yorkstone, sundial, compass, solid rock, Proline, and a ton of other varieties. 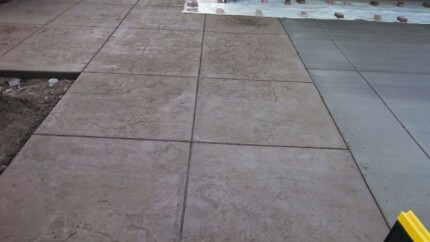 We will happily show you some examples of stamped concrete work related to these designs or our stone masonry projects. Each project varies. Depending on whether it's an installing, a staining, an overlay, or a repair, the price will be quite different. But, we offer fantastic prices for the services that we provide. So good that past customers will rehire us for new work when they aren't recommending us to their friends. 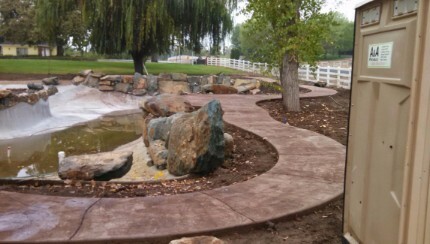 If you are interested in the types of prices that we do offer for our concrete work, just hit us up on the phone line and call (916) 553-2299 and we can help either schedule a meeting to provide an estimate, or get you a price quote over the phone. Is There A Warranty Offered? Absolutely! We always provide a guarantee of our work with a warranty to help make our customers feel comfortable moving forward with us knowing that it is basically risk free. We never have to fulfill that warranty simply because we communicate in a clear manner and cover everything offered during our estimate. After the work, our customers are always happy and are only calling us back to thank us for our work and to refer us their friends. Get in touch with our staff by calling or texting (916) 553-2299 or filling out the quote form on this page. From small to big projects. 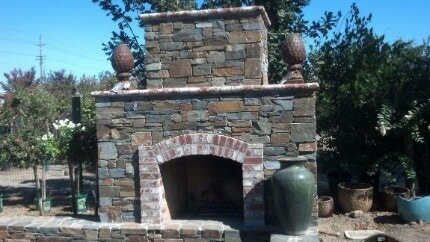 Driveways, patios, pool decks, barbecues, walls, and fireplaces. Commercial construction or residential. Homes, hotels, apartments, water parks, new buildings, roadways, trails, indoor projects. All of these projects will be happily taken care of by the best concrete contractor in Carmichael, CA. There are no contractors as easy to deal with as us. Our work lasts the longest and looks the prettiest. Don't believe us? 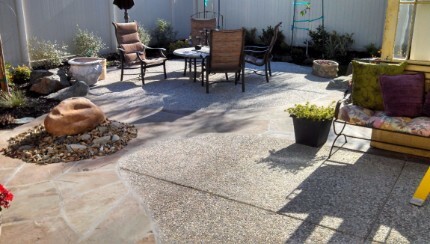 Call us ​(916) 553-2299, and we will send you pictures and testimonials of our recently completed projects.